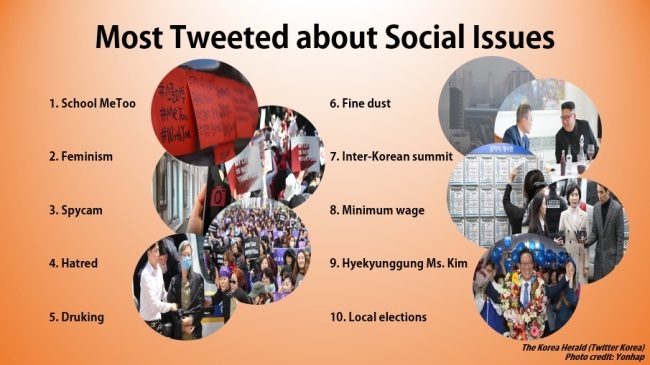 Twitter Korea announced the top 10 most tweeted terms of 2018, in a list spanning social issues and people. 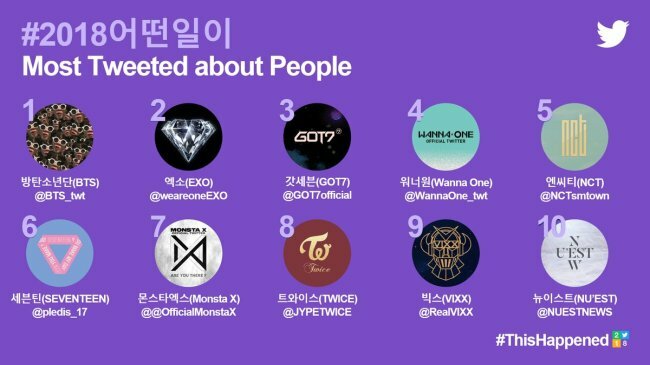 The top 10 list for most tweeted people was dominated by K-pop groups, led by BTS, Exo and GOT7, in order. Twice, ranked No. 8, marked the only girl group among the top 10. Other categories featured among Twitter Korea’s lists included entertainment, politics and games. The “Golden Tweet,” or most retweeted post in Korea for 2018, was a video of BTS’ Jungkook singing a cover of Park Won’s “All of My Life.” The clip had over 600,000 retweets as of Wednesday.